Apostille seal and stamp on a health certificate. If you are getting your “docs on a row” while getting all of your paperwork legalised for use outside of South Africa, you might be wondering why you need to get your health certificate (also called a medical certificate) verified and where you can have your health certificate authenticated or apostilled. On this page, you will learn more about what the process involves and what you will be required to do. Why do you need to have your health certificate verified? If you plan on traveling or working abroad, you will need to have a valid medical certificate, and depending on which country you are traveling to, you will either need to have your certificate authenticated or apostilled before that document is considered legal. If you are traveling to a country that is a member of the Hague Convention, you will have to get your medical certificate apostilled, but if you are visiting a non-member country, your certificate will need to be verified by means of authentication. Some countries require extensive medical reports before you are allowed to work or study abroad, while others have fewer requirements. Keep in mind that your health certificate is only valid and can only be authenticated if it was performed and compiled by a registered South African medical practitioner and verified by the Health Professions Council of South Africa (HPCSA). What do you need on your Medical Certificate? 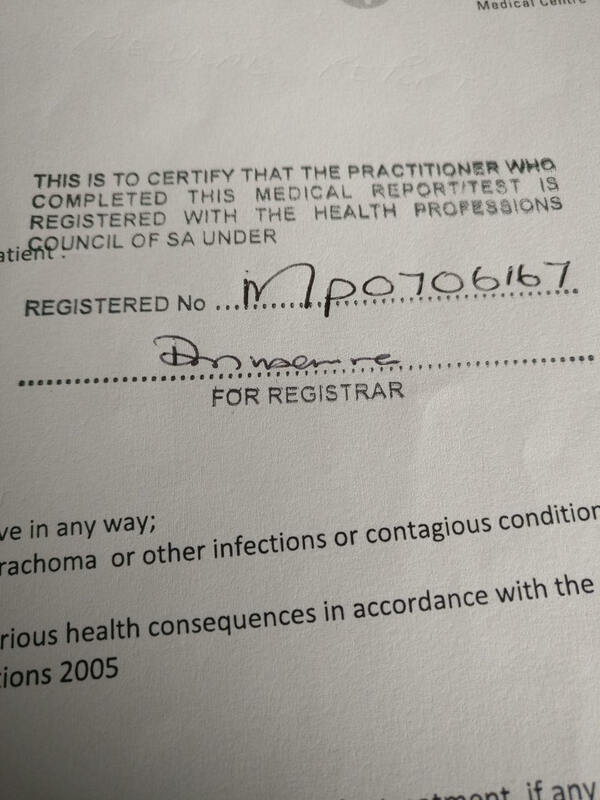 Medical certificates have to be legalised, and the verification of these documents means that your paperwork has been authenticated by the HPCSA and confirms that the specified medical certificate has been issued by that mentioned department and that the seal and signature on the medical certificate is authentic. The verification stamp from the HPCSA before a medical certificate is apostilled. What is the process of medical certificate apostille and verification? The following is the easiest way to separate the steps in obtaining first a verification and then an apostille. 1. Once you have completed the medical tests, your healthcare provider will provide you with a signed and stamped Medical Certificate, which has to be signed and verified by the Health Professions Council of South Africa (HPCSA). 2. After it has been signed by the HPCSA, your medical certificate has been authenticated, but depending on whether or not you are traveling to a Hague Convention member country; it might need to be verified again by the embassy in that country. 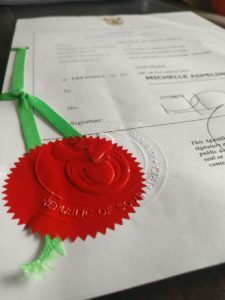 As you can see, the process of getting your medical certificate authenticated and verified is more complicated than a standard apostille, and it can easily be done if you know which steps to follow. We can assist you in obtaining a verification and apostille on your certificates with the least amount of effort. See our pricing.